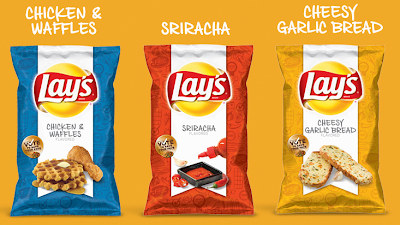 Three gaudy new Lay's potato chip shock-and-awe flavors embody all that's destructive and wrong and seductively delicious about U.S. industrial foods. 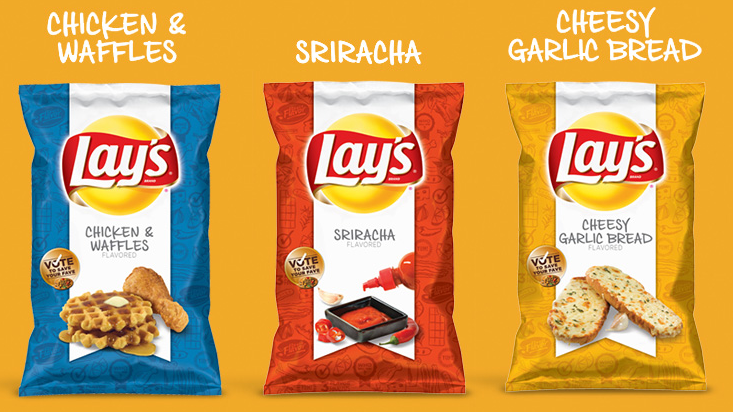 Frito-Lay, Inc. is betting millions that these taste-exploding snacks will be the next red-hot must-buy in grocery markets, convenience stores, and gas stations nationwide. 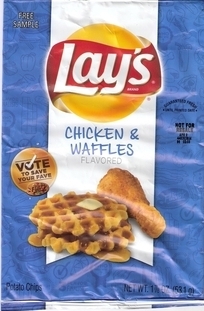 If U.S. culinary history since the 1950s is any guide, Frito-Lay is likely correct. and they had the sugar, whose raw power in exciting the brain made it perhaps the most formidable ingredient of all, dictating the formulations of products from one side of the grocery to the other." Author Moss recounts in lurid, well-documented detail how Kraft, Nestle, General Mills, Procter & Gamble, Coca-Cola, Mars, and other industrial food corporations used tobacco industry marketing tactics to addict Americans to radically unhealthy foods laden with salt, fat, and sugar. Moss also describes the extreme addiction of industrial food corporations to rich, near-endless profits reaped by junk foods that are making Americans fat and sick... and how the U.S. government is too cozy with industrial food executives and lobbyists to stop the sickening of America. "Virtually everything you can buy in a supermarket that’s not an outer-aisle pure food like milk or kohlrabi has been fiddled with to make you shiver with bliss — which will in turn make you buy the product again and again." I'm awestruck by the shameless, in-your-face brass of Frito-Lay in testing and releasing these three grotesquely over-the-top junk foods in the face of First Lady Michelle Obama's courageous three-year campaign to urge American children to eat more veggies and fruits, and less unhealthy fare. Yes, I'm awestruck at the corporate gall of unleashing these aggressively unhealthy snacks. Therein lies the deadly diet dilemma for us and our children and grandchildren. For the very vitality of our nation. Something needs to be done. Something needs to change. My suggestion? Make better food choices. Don't buy these scrumptious snacks that are intentionally designed to hook you and yours into a deadly, delicious cigarette-like habit. Just say NO.